PROMISE è un progetto di ricerca collaborativo che intende esplorare il ruolo dei giovani nel dar forma alla società; in particolare, intende focalizzarsi sui giovani “in conflitto” con l’autorità. After months of preparation the PROMISE final conference is now just days away. 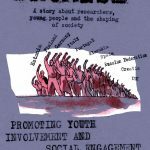 Researchers, young people, practitioners and policy makers will be gathering in Manchester on 8-9 April 2019 to discuss the findings and implications of the research with a keynote speech delivered by the Mayor of Manchester Andy Burnham. 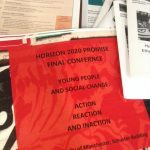 A full and ambitious programme of activities has been planned, including discussion, creative performances and exhibitions under the theme “Young People and Social Change: Action, Reaction and Inaction”. The PROMISE team look forward to welcoming all our guests to the University of Manchester for two days of vibrant discussion and celebration (Promise Programme 8_9 April 2019). The EU Youth Strategy 2019-2027 provides Member States with a renewed frame to cooperate in the field of youth. “Youth” is a national policy area for many Member States and the EU Youth Strategy supports member states to coordinate and supplement their national policies by focusing on three key areas: Engage, Connect & Empower. These key areas resonate with the policy recommendations from PROMISE. PROMISE è finanziato dalla Commissione Europea nell’ambito del Programma Horizon 2020 Ricerca e Innovazione, contratto nr 693221. What were these closed for?